MOJO Monday @ Verve #327 -- Contest week! 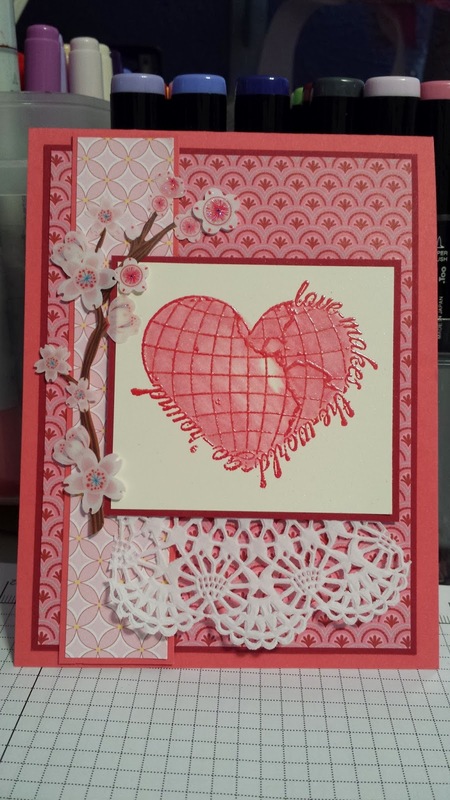 love makes the world go `round - Unity SOTW stamp, Close to My Heart DSP, Stampin' Up! CS. Copics markers, stickers and a paper doily from lunch out. This is my creation for MOJO MONDAY. So feminine and pretty! I love the little flowers and the lacy doily! Oh, this is so pretty Betty. Love that heart image and the sweet flowers... the doily piece is awesome.